On April 30, 2009, Congressman Ron Paul introduced H.R. 2218, known as the Parental Consent Act of 2009. The bill forbids federal funding for universal or mandatory mental health screening, and also forbids money for any educational or other government agency that would use a parent’s refusal to consent to their child’s screening as basis for a charge of child neglect or abuse. Click here for video interview with Kent Snyder, Ron Paul’s Presidential Campaign Manager, speaking about why Congressman Paul introduced the Parental Consent Act. A little recent history is relevant. On April 29, 2002, President George Bush created the New Freedom Commission on Mental Health. In 2003, this industry-studded commission presented their recommendations for the reform of the United States mental health system. Improve and expand school mental health programs. Screen for co-occurring mental and substance use disorders and link with integrated treatment strategies. Screen for mental disorders in primary health care, across the lifespan, and connect to treatment and supports. This rhetoric serves to hide the truth that New Freedom is better called No Freedom or New Intrusion, and that mental health screening really means mass marketing and target recruitment of a captive population. By the time of these New Freedom Commission recommendations, there already existed very large numbers of citizens around the country wising up to the extraordinary intrusion of psychiatry into our schools, as demonstrated in the first four years of this millennium by a number of resolutions, education department statements and state laws, all defending a parent’s right to make treatment decisions for a child without coercion, and a child’s right to education without psychiatric labeling and drugs. Through 2003, there had been at least 46 state bills or resolutions supporting parental choice, in 28 states, that had either passed or were still pending action across the United States. For example, Connecticut, Minnesota and Texas had passed laws explicitly stating that a parent’s refusal to consent to the administration of a psychotropic drug to a child does not constitute neglect, therefore is not in itself grounds for Child Protective Services (CPS) investigation. Other states have passed related laws either monitoring or curbing CPS policy in this area. Many states are pursuing related legislation as the wave of activity in support of parental choice continues to expand. Texas law now prohibits school personnel from suggesting a diagnosis or recommending a psychotropic drug to a parent for their child. The public will is clearly for the schools to educate, not medicate, and for the state to allow privacy and autonomy to parents and families. At a federal level the fight over the Child Medication Safety Act was eventually won so that nowhere in the country is it legal to require a psychiatric controlled substance as a condition of attending school. 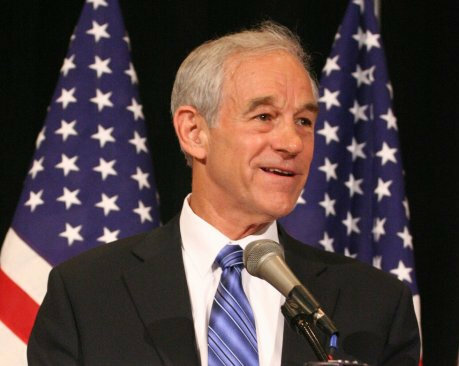 Ron Paul has been a key leader in this effort for some time. On October 6, 2004, he introduced an earlier incarnation of his current Parental Consent Act. This one, aptly titled the Let Parents Raise Their Kids Act, also attempted to forbid federal funds from being used for any universal or mandatory mental-health screening of students without the express, written, voluntary, informed consent of their parents or legal guardians. Since that time, the fight has only intensified. In 2005 in Texas, for example, we fought tooth and nail to the bitter end to defeat a bill that would have initiated mental health screening in schools throughout Texas. Since we have defeated them consistently, this session they tried to get a pilot program approved for San Antonio and we defeated that as well, but the psychiatric and pharmaceutical lobbies are relentless. PsychSearch.net provides one of the best websites on mental health screening and the ongoing resistance. We have been aided by our awareness. Made possible largely by the work of Pennsylvania whistleblower Allen Jones, we know that many of the New Freedom commissioners are linked directly or indirectly to the Texas Medication Algorithm Project (TMAP), which provides formulas recommending specific psychotropic drugs to treat various “mental illnesses.” It has been revealed that TMAP pushed an off-label drug marketing scheme that appears to skirt federal law. We know, therefore, that this commission’s recommendations are intended to encourage an expansion of the fact that “appropriate services” in today’s psychiatric world means psychotropic drugs; there are already millions upon millions of school-age children on psychiatric drugs. Senator Charles Grassley’s work outing the severe ethical financial conflicts of so many psychiatric industry spokespersons makes it a little easier to challenge these things. For example, it tends to impress legislators when they hear that three psychiatry department chairs—Charles Nemeroff of Emory University ($1 million from GlaxoSmithKline alone), Martin Keller of Brown University (associated with a severely compromised drug trial) and Alan Shatzberg of Stanford (who was principal investigator on a drug developed by a company in which he owned $6 million of stock) have all recently resigned their positions as a result of Grassley’s investigation. The very high number of false positives in mental health screening is good data. In one study at Columbia University, the authors concluded that use of the Columbia Suicide Screen would result in 84 non-suicidal teens being referred for further evaluation for every 16 youths correctly identified. It also helps to know that these type programs tend not to work anyway. For example, the United States Preventive Services Task Force (USPSTF) found that screening for suicide risk does not reduce suicide attempts or mortality. Finally, the facts about the severe dangers and lack of efficacy of the various types of psychiatric drugs gets attention once the truth is made known. We promise to actively resist further intrusion of psychiatry into the public schools, and will not cooperate in any way with those who act as agents of this wrong-headed government initiative. We do not now and will not later consent to the psychiatric or psychological testing of our children by those who act as agents to implement New Freedom recommendations for universal mental health screening of our children. The Parental Consent Act of 2009 is a great idea. Passing this bill in Washington would make a significant difference in protecting children and families against further intrusion of psychiatry into the schools. I know it would also make this Texas activist’s life a little easier! John Breeding, Ph.D. has been a counseling psychologist in Austin, Texas for 25 years. He is the director of Texans For Safe Education, a citizens group dedicated to challenging the ever-increasing role of psychiatric drugs in schools. He is the author of numerous articles and four books including: The Wildest Colts Make the Best Horses and True Nature and Great Misunderstandings: On How We Care For Our Children According To Our Understanding. Contact your member of Congress to support The Parental Consent Act. To find your Representative and get their contact information, go to http://www.congress.org/congressorg/directory/congdir.tt to look them up (you need to enter your zip code).